Welcome to Part Two in a special six-part series of More Power To You, produced in partnership with the Maryland Clean Energy Center for National Clean Energy Week 2018. Each of these episodes spotlights a different clean energy technology, and features some of the people and companies leading the way in Maryland. In this episode, the second in the series, we focus on solar energy in Maryland. My guests are David Murray, Executive Director of MDV-SEIA; Cyrus Tashakkori, President of Open Road Renewables; and Corey Ramsden, VP of Go Solar at Solar United Neighbors. In our conversation we examine different segments of the solar industry including utility scale, residential rooftop, and the commercial and industrial sectors. 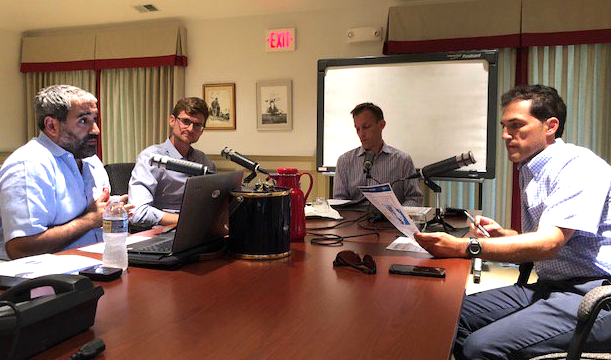 We discuss the state’s Renewable Portfolio Standard and the importance of state policy in growing the industry; we look at energy equity issues, the economics of solar, and close with ahead towards next year’s legislative session. Recorded August 29, 2010. Published September 24, 2018.